Band 1: includes an examination, diagnosis and advice. Band 2: includes treatment covered by Band 1, plus additional treatment, such as fillings, root canal treatment and removing teeth. Band 3: includes treatment covered by Bands 1 and 2, plus more complex procedures, such as crowns and dentures. Your dentist will give you a personal treatment plan before you have Band 2 or 3 treatment. The plan gives details of the treatment and the amount you'll have to pay. You'll be asked to read and sign the plan. Your dentist is entitled to ask for your payment at any stage of your treatment. Full payment for the course of treatment may be required at the time of the first appointment. If you have any concerns, ask the Practice about when you have to pay. You may pay by debit card, VISA and Mastercard credit cards or by cash. Who is entitled to free NHS dental treatment at the the Dental Hygiene Centre? you're included in an award of Income Support, income-based Jobseeker's Allowance, income-related Employment and Support Allowance, Universal Credit or Pension Credit guarantee credit. If you're named on a valid HC3 certificate, you may not have to pay for all your NHS dental treatment. HC2 and HC3 certificates are issued under the NHS Low Income Scheme – see below. You'll be asked to show your dentist written proof that you're entitled to help with dental treatment costs. This will vary depending on your circumstances. To check what documents you will need, see the NHS HC11 leaflet (also available from www.nhsbsa.nhs.uk ). The NHS Business Services Authority website www.nhsbsa.nhs.uk has more information about the NHS Low Income Scheme, including how to apply. 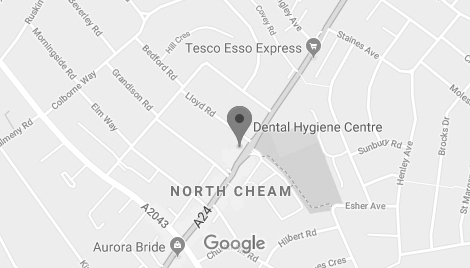 Dental Hygiene Centre is contracted to provide services for you under the NHS by NHS England, Dental, Optometry, Pharmacy Services, 5th floor, Skipton House, 80 London Road, London, SE1 6LH.